Industry bodies in the UK waste sector have been submitting contrasting responses to the European Commission’s consultation on targets included in three directives. The consultation, which was launched in June, is part of the Targets Review Project which is assessing the adequacy of targets in the Waste Framework, Landfill and Packaging and Packaging Waste Directives and to consider additional targets for waste prevention and reuse. Waste management trade body Environmental Services Association (ESA) believes new and higher Europe-wide targets are “not the best approach”. Instead, its submission said EU policy-makers should focus on enabling the development of the circular economy. 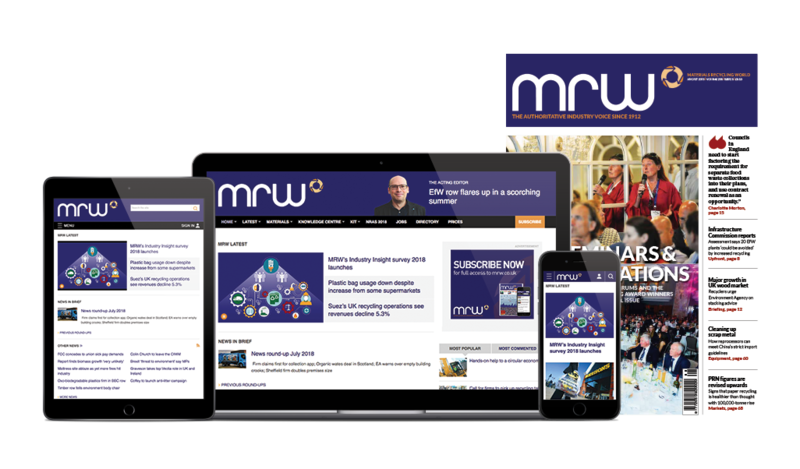 Roy Hathaway, ESA’s Europe policy adviser, commented in MRW at the time of the consultation launch, “While some commentators favour higher EU-wide recycling targets, plus landfill bans, the effectiveness of that approach is open to doubt. But the Resources Association (RA) said it broadly supported a “more ambitious approach to the setting of targets in the EU”. The association submission argued that higher and new targets must be set alongside a standardisation of data and definitions to create a level playing field among EU member states. It said it favoured a multi-layered approach to targets, making them realistic for poor performers. Echoing the ESA’s stance on the circular economy, RA’s chief executive Ray Georgeson said higher targets “must go hand in hand” with a new EU eco-industrial strategy that “encourages and incentivises greater use of recyclate by manufacturers c”. The Anaerobic Digestion and Biogas Association (ADBA)’s policy manager Matt Hindle told MRW the association had called for a ban on biodegradable waste from landfill. He said: “The Commission should use this review to set out a timetable for member states to remove organic waste from landfill, and encourage more sustainable treatment, primarily by sending source segregated organics to anaerobic digestion. Rebecca Cocking, head of container affairs at British Glass, welcomed consultation on recycling targets but found the questions discouraging. She said there was a lot on incineration, waste minimisation and bans but insufficient emphasis on recycling. She added there was “not enough recognition that manufacturers make what consumers purchase. If consumers didn’t demand products then the industry wouldn’t manufacture them”.